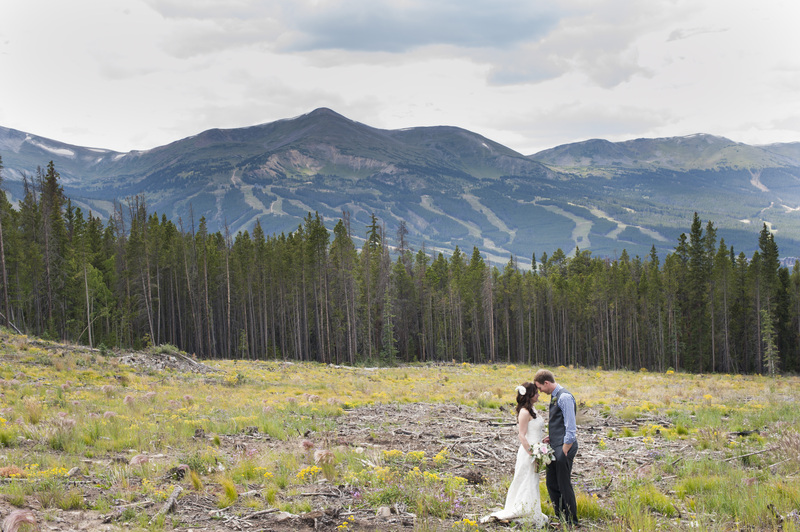 It’s been one year since Pie and I tied the knot and celebrated with our fabulous party in the woods of Breckenridge, Colorado. Maybe some women feel sad once the wedding is over and it’s just down to a simple, married life, but not me! Don’t get me wrong. I still think about the wedding all the freaking time and hardly a day goes by that I’m not sneaking a peek at our wedding photos or video, but it has been so great to have this year to ourselves and not worry about planning a wedding. Everyone says that your wedding day goes by in a flash, but somehow, that’s not how that day went for me. It was a perfect day that I spent every moment soaking in so I could remember it all later. Le sigh! For our anniversary, we exchanged some heartfelt, homemade cards and made our way back to Breckenridge bright and early . 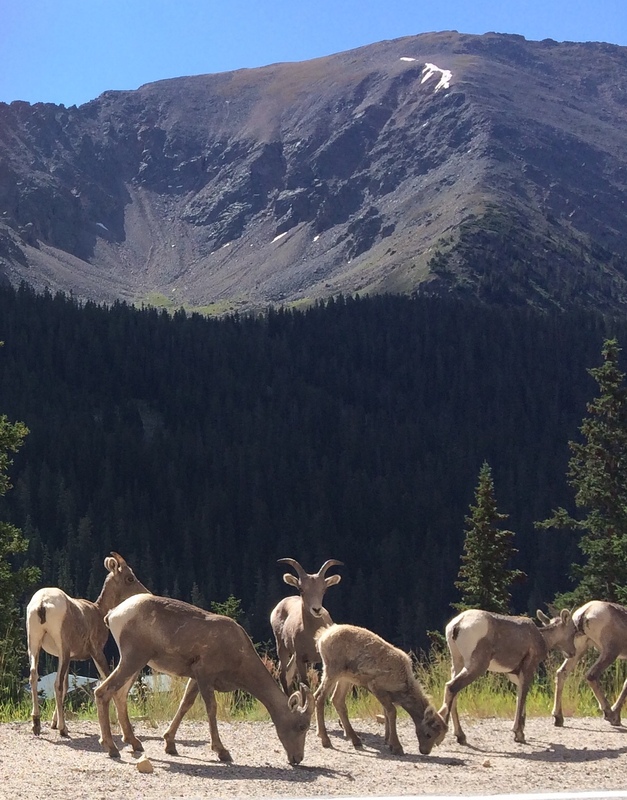 We spotted these cute guys on Loveland Pass on the way to Breckenridge. 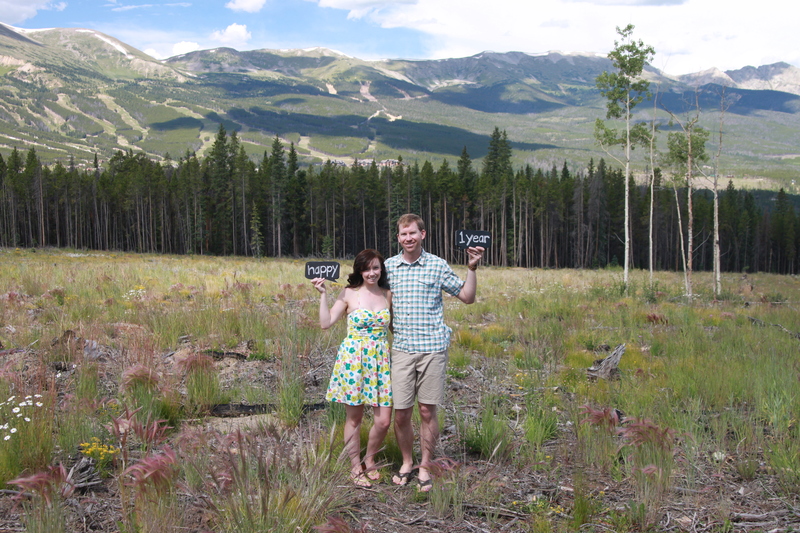 Our first stop in Breckenridge was up Boreas Pass so we could retake one of our favorite photos from the wedding. Obviously, we couldn’t come anywhere close to duplicating the awesome photo our wedding photographers took. 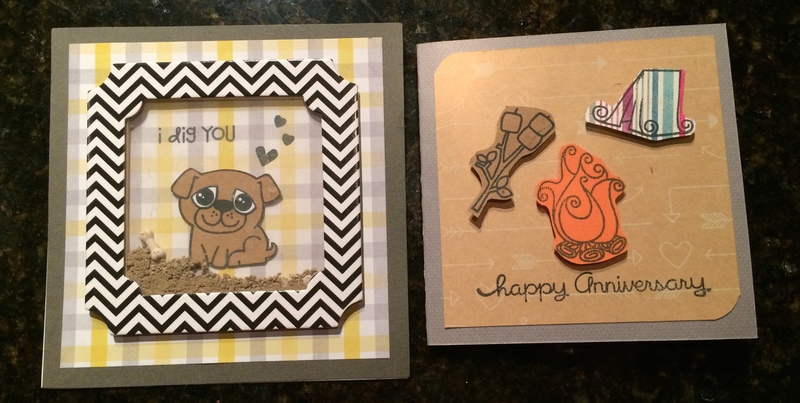 August 17, 2014 – One year later! Photo by us! March 2, 2014 – Just for fun, we also recreated this picture mid-year while the field was covered in snow! Photo by us! 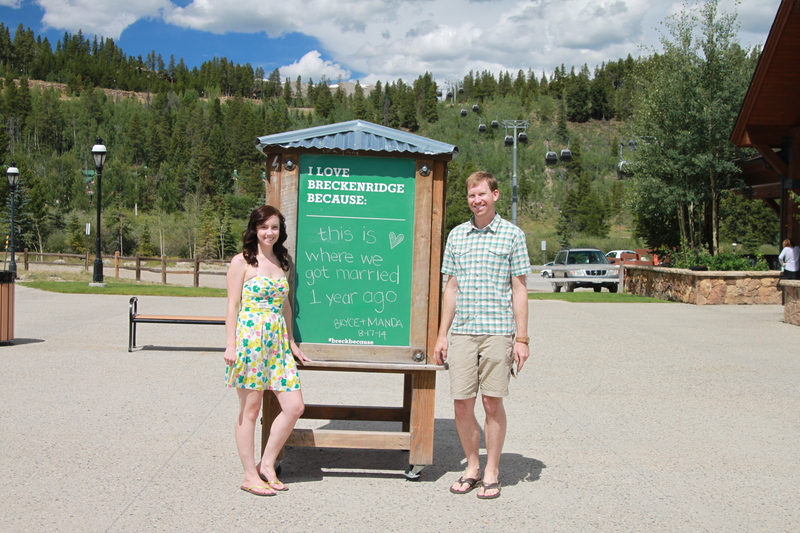 This sign was also in Breck a year ago when we got married and we stopped by again to sign it. 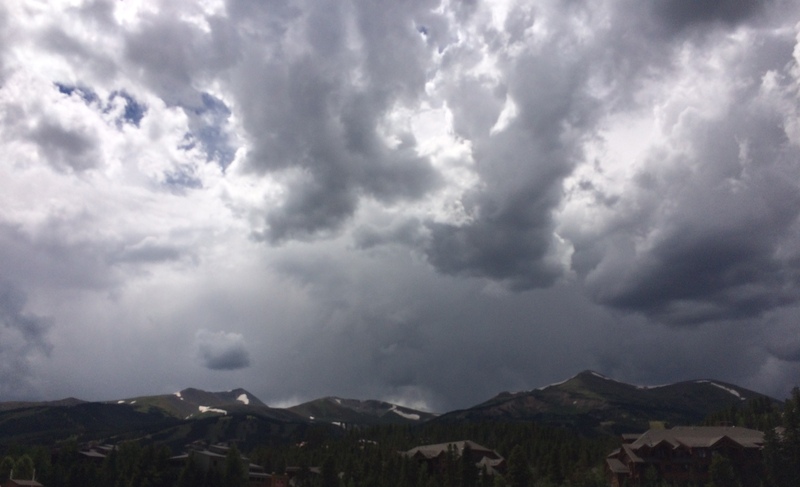 Then we snuck in a quick bike ride from Breckenridge to Frisco before an afternoon storm began to roll in. And lastly, we hid under a covered patio at one of our favorite restaurants on Main Street called Oscar’s and had some nachos and drinks while the dark, stormy clouds floated past the town without producing a single drop of rain. So how has married life been for us? When I was asked this question right after getting married, all I could respond was, “The same”. Nothing had changed, except my last name! We were still as happy as we had always been! Hubby, on the other hand, had sentimentally replied that being married did feel different because it was a deeper commitment. Awww! Isn’t he so sweet? It wasn’t until I had overheard hubby’s response that I really began to ponder what was different about being married and why we even bother getting married at all if it was just the same… other than the fact that it is fun calling each other husband and wife. But hubby was right! We had made a deeper commitment by getting married and I should have noticed that. That deeper commitment brought a greater feeling of appreciation, joy, love, comfort, security, and contentment to our relationship and new marriage. In my vows I said how much I appreciated hubby’s cheesy, romantic confessions of love and that I would never take him for granted. But perhaps by our wedding date, I had already taken for granted this small thing – the fact that he was so good about openly confessing his love to me. He had done so not just in cheesy, romantic confessions that were said in private, but also the big profession of love he gave in front of 40 of our closest friends and relatives on August 17, 2013. This was exactly the kind of deeper commitment that we had gained by being married – saying out loud to the world that we loved each other and would always be there for each other. That’s something that no one had ever done for either of us before and that was a huge deal to be open and vulnerable, confessing our love for one another. Besides the fact that our relationship did take on a deeper commitment, there have been many other changes in the past year since being married, so I definitely can no longer claim that married life is “the same”. Although I’ve done a pretty good job blogging all year what we’ve been up to, in addition to our Denver summer bucket list, here’s a brief summary of what we’ve been up to since we tied the knot! 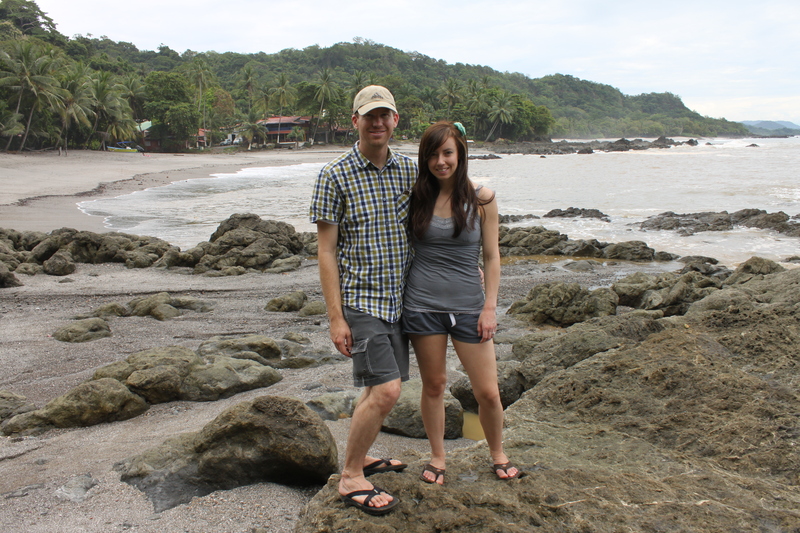 We honeymooned in Costa Rica! Right after our wedding, we took our honeymoon in Costa Rica. This was our first trip together out of the country and it was a good test to see how we would handle the stresses of traveling in a crazy place. Obviously, we survived this crazy adventure and it turns out we make a great travel team (it’s mostly because of Pie; if it was just me, I’d get us lost!). While we had initially considered waiting to have our honeymoon the next summer after we got married, I’m glad we decided to do it right away, since our life has been so busy since then! Hubby and I are huge advocates of married couples combining their finances. After all, two married people should not act like roommates, splitting expenses down the middle and calling money or purchases “yours” or “mine”. Everything is considered “ours” and we work as a team to save, budget, and spend money responsibility. This has saved us a huge headache of keeping track of who has earned what and what belongs to who. We never fight over money, and that’s saying a lot for a married couple! After only being married 50 days, Pie and I parted ways. No, I don’t mean we got a divorce! We moved… except not both at the same time. Hubby moved to Denver and then I followed him two months later. We had talked about moving early in our relationship and finally decided to take the plunge after the wedding was out of the way. What better way to start a new life together than by starting it in a new city! We both got new jobs! 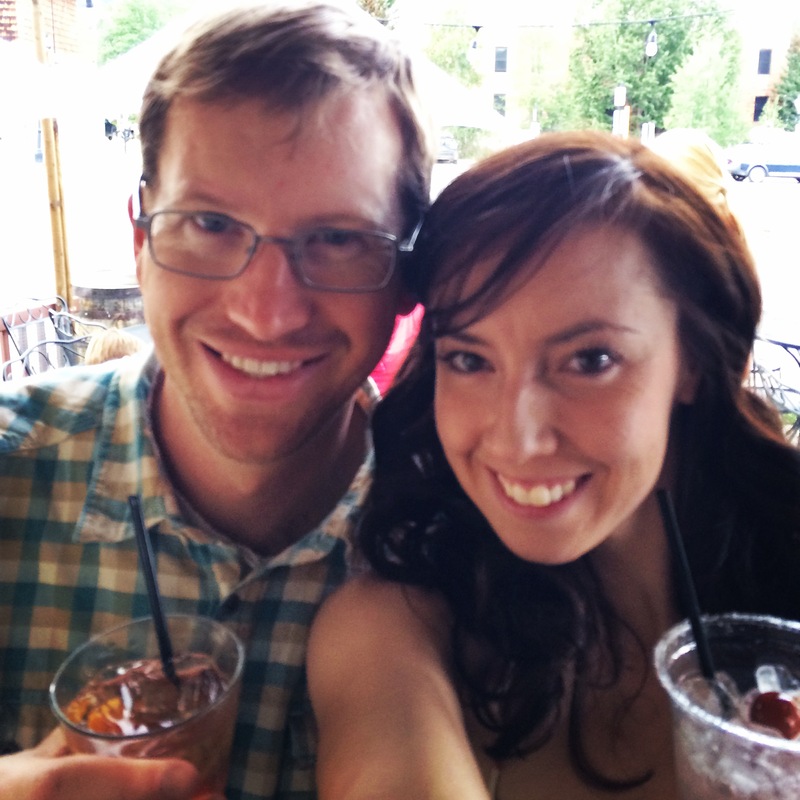 Hubby landed his job in Denver before moving and I landed my job in Denver a few months after joining him in Denver. We both really needed a change in jobs, as this was one piece of our lives that was keeping us from complete happiness. 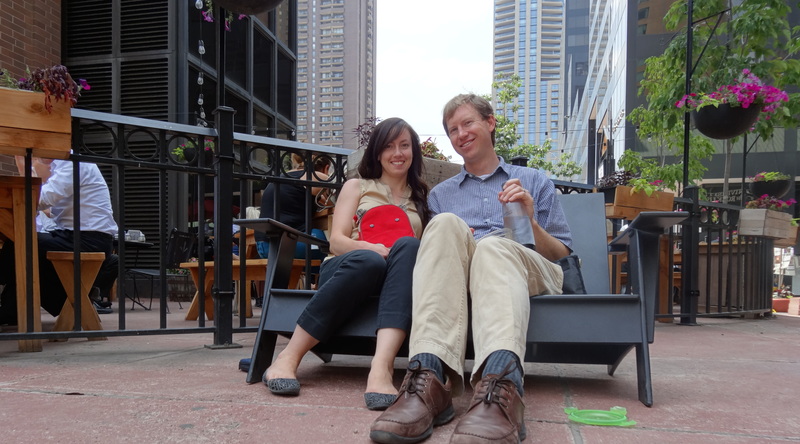 We both have jobs working in downtown Denver and both really love our jobs, the location, the people we work with, the option to have lunch together downtown, and the benefits our employers offer. 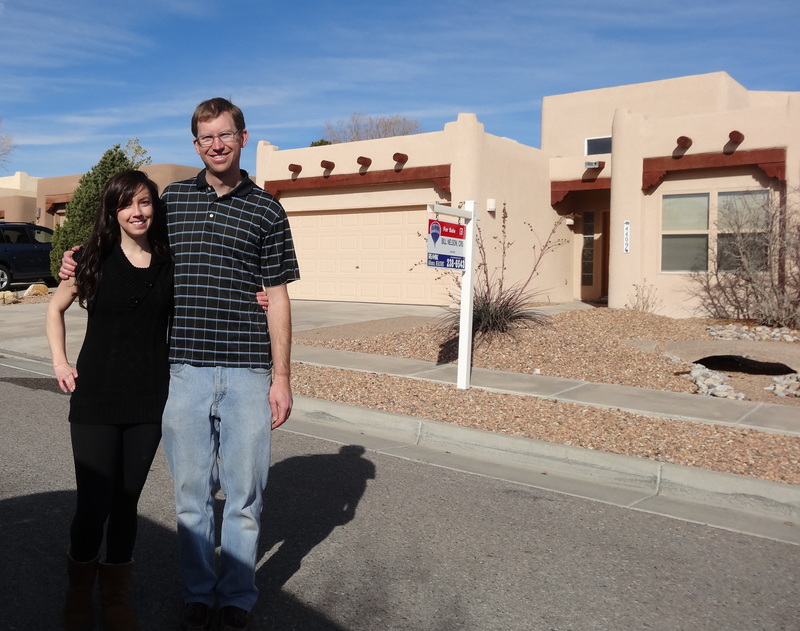 Pie and I got super, unbelievably lucky and we were able to sell our house in Albuquerque after it being on the market only two days! 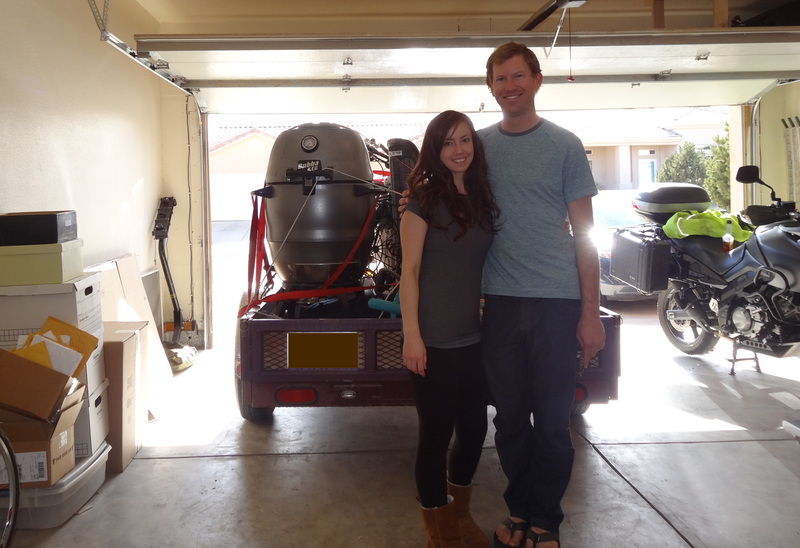 This was a huge relief for us, as we were able to completely move on from our past life in Albuquerque and focus on saving up for a new house in Denver. With the sale of our Albuquerque house in the books, we were able to start seriously looking at houses in Denver right away, which was super exciting!!! 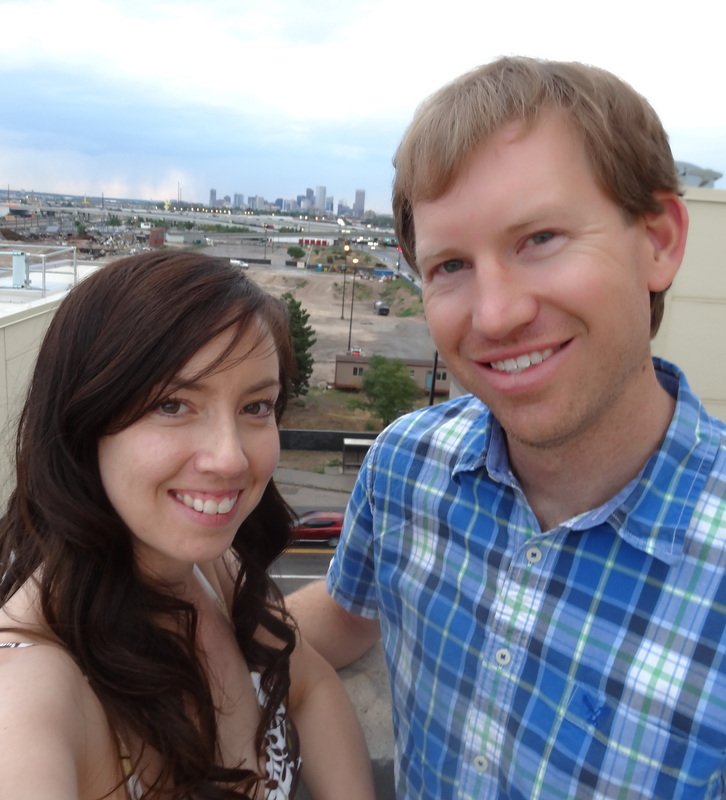 We decided we didn’t want to deal with house hunting and haggling in Denver and by January of 2014, we had decided to get a house in a new community just north of downtown Denver called Midtown at Clear Creek. Although we are actually enjoying living in a apartment in a great location and not having to clean up a big space, we can’t wait to move into this house that we were able to choose together and watch get built! Coming soon, December 2014!!! 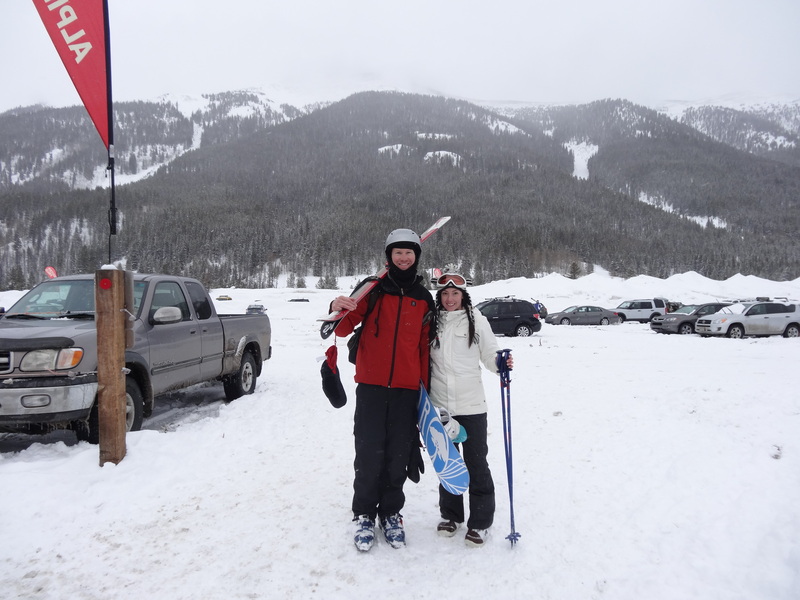 We snowboarded in Colorado powder! One of the things we were very excited about with our new move to Denver was to try out snowboarding on Colorado mountains. We found out that we aren’t the only ones that enjoy snow sports in Colorado (duh! ), which means there is always a lot of unanticipated traffic on the weekends with similar people heading from Denver to the mountains for fresh snow, but we have really enjoyed some great snowboarding days in Colorado with much better snow than New Mexico! 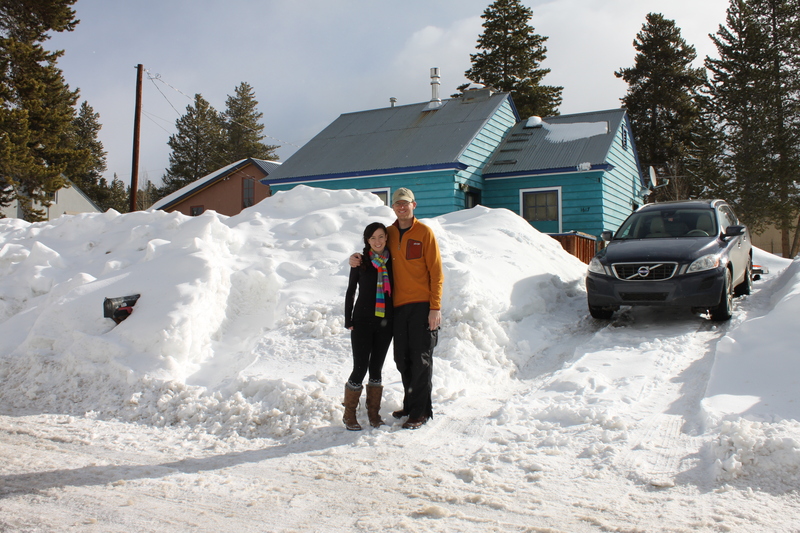 We did a winter vacation in Leadville, Colorado! While hubby and I have taken a generous amount of camping trips throughout our relationship, we rarely take real vacations that involve relaxing, sightseeing, and staying in a hotel. We have always talked about how much we hate having to drive home several hours after snowboarding in the mountains and how we should rent a hotel room and stay overnight for a few days to really enjoy ourselves, but we never actually do this since we have to plan ahead and take the dogs into consideration. For hubby’s birthday this past winter, we finally decided to take a real winter vacation in the mountains and rented a cabin that would allow pets. 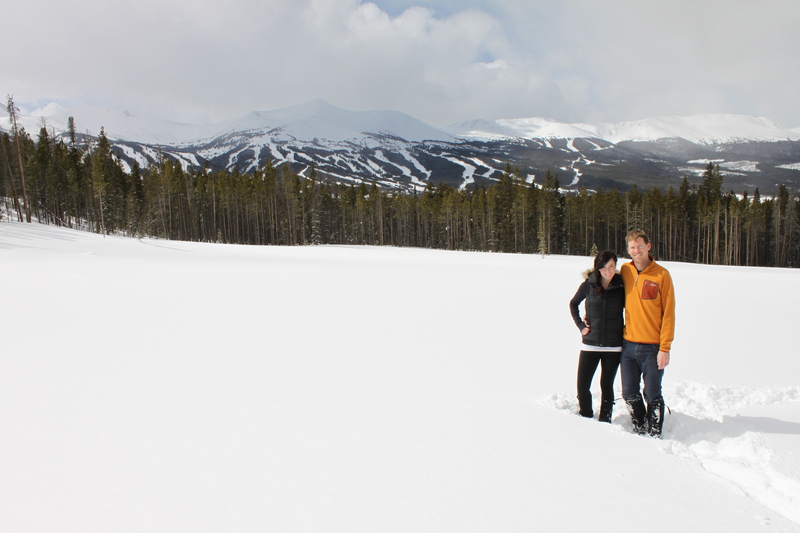 We both thoroughly enjoyed this vacation to Leadville, Colorado, as we were able to spend the day snowboarding at Copper Mountain a half hour away and the night relaxing in the cabin in Leadville while we sipped on warm, winter-time cocktails. We watched hubby’s dad get married! 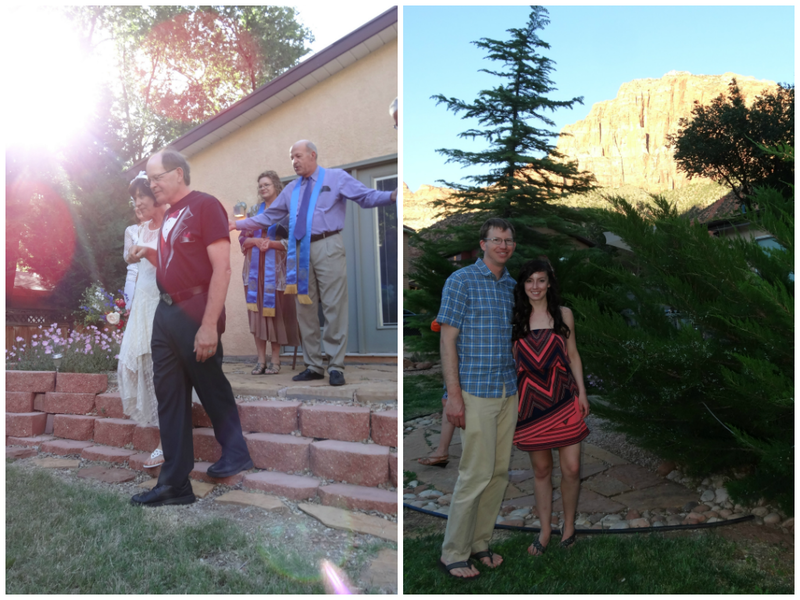 Hubby’s dad got married near Zion National Park, Utah in May. This was a great trip for us to take away from the pups and see a state that is right nearby that we don’t visit nearly enough. 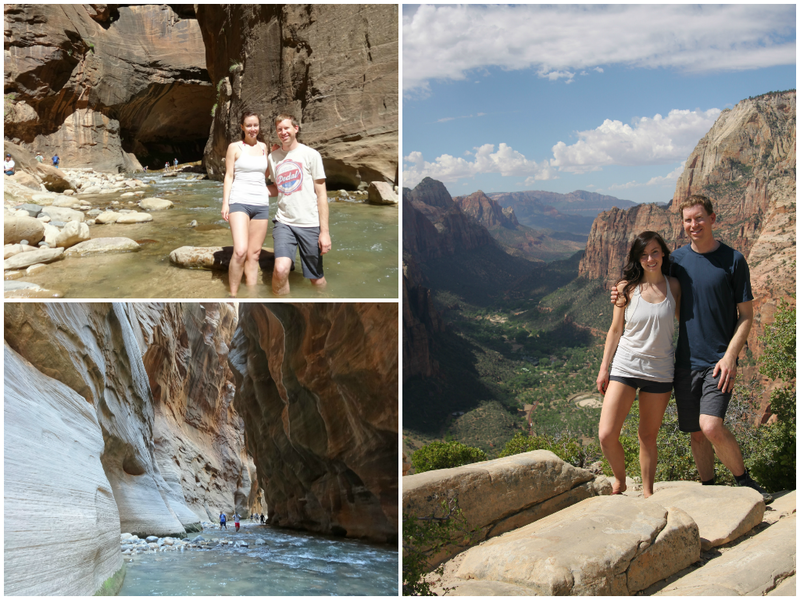 Although it was melty hot in Utah in May, we had so much fun doing some well-known hikes in Zion National Park, such as The Narrows and Angel’s Landing. This summer we were able to downsize to just one vehicle for the both of us. Hubby and I bike to work just about every day and we rarely need a vehicle, much less two. Even in the winter, when we have needed a break from biking on cold or snowy days, we can still get to work by taking the commuter train, which is only a half-mile walk from our apartment. Selling a vehicle felt so good and it wasn’t just because we were able to put some extra money away towards our new house. We really enjoying being able to bike to work together and not depend on a car to get around. 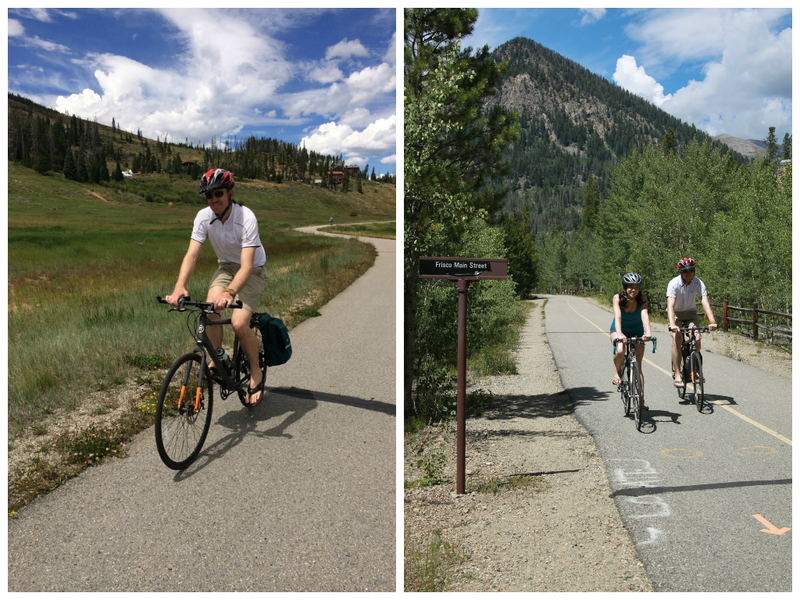 There’s just something so great about biking and getting from one place to another, solely by your own physical efforts! We’ve spent oodles of time together! This first year of marriage we have spent so much time together, not just on weekends, but throughout the day and week. Most couples would probably be ready to kill each other by spending so much time together, but it’s kind of disgusting how much we enjoy each others’ company. We bike to and from work together, meet for lunch downtown, and do all kinds of outdoor activities together on the weekends. Most marriage advice will say that couples should have their own activities and hobbies, but hubby and I are practically glued at the hip and you’d be hard pressed to separate us, even for boring weekend errands! While hubby and I just happen to have a lot of hobbies in common — making it hard for us to avoid spending time together, even if we wanted to — doing so much together has also taught us to get along very well and not just walk away to do something else when we are sick of dealing with the other person. We waited to have a baby! For those wanting to know the answer to one last question “when are we having kids?”, you’ll just have to keep waiting for the official answer on this one! With the big move to Denver and waiting to move into a house, hubby and I have put the baby thing on hold for now (hopefully). We don’t plan on having a kid (singular) until the house is built and we’ve finished a few pricey house projects. But who knows if life will have a different plan before then!